If you're on BL between now 3p EST and 530p EST please vote by leaving a comment. The below two series came back with the most books (and also that I have saved already to my 500GB portable hard drive that I affectionately call The Mobile Library aka Good Things/Small Packages aka It's Bigger on the Inside aka The TARDIS). Choice 1 - the majority of my friends have read this series and loved it. I'm scared to start it. What if I hate it? Gah. I know I'll probably hate it. I HOPE NOT! 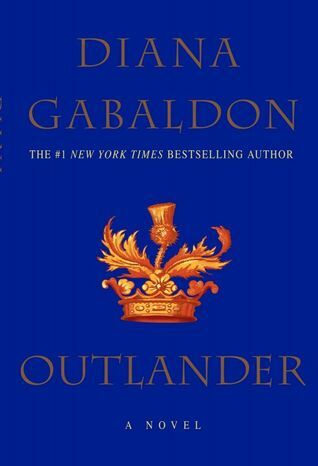 The Outlander Series by Diana Gabaldon. I currently have on my Kindle books 1 - 8.5 plus A Trail of Fire. Series is about to be a Starz TV show. Will there be too much diversity between the book and the show? Will I freak out? Should I wait to read it? My brain hurts. I can't make decisions. /fail. Choice 2 - Um, I'm not sure what is up here by the general summary. Only a couple of my friends have read it and given it mixed reviews. Choice 3 - Recommend something else. THIS IS my shelf at GR with all of the "clan/laird" related books that I've already read. Thanks for your time! Biting my nails because I seriously can't decide what to read next!! !